Agoracom: Small Cap Investment - Iconic Minerals Ltd. - China’s EV Sales Grow 118% Year On Year & Fossil Sales Fall 13% — Q1 Charts! Message: China’s EV Sales Grow 118% Year On Year & Fossil Sales Fall 13% — Q1 Charts! 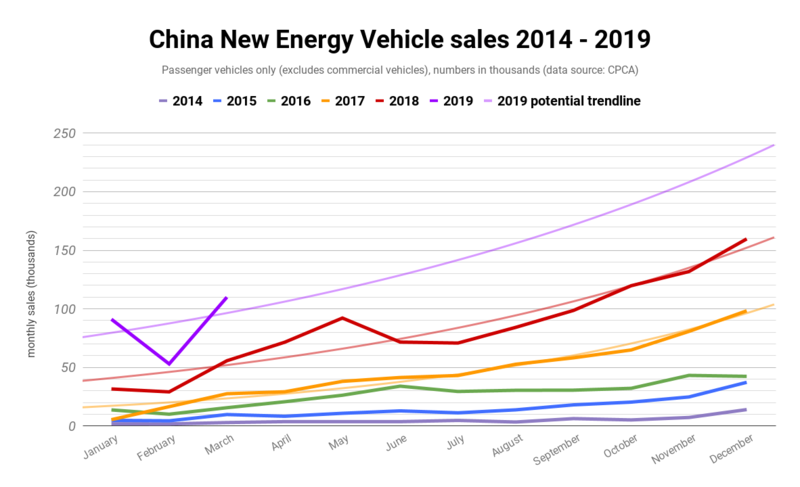 Ratings agency Fitch projects that China’s EV sales will have another good year in 2019 despite potential disruptions from the changes in the subsidy regime. Whilst it’s good that Fitch sees a strong outlook, rather than rely on rating agencies, take a look at our own extensive coverage of trends in the China EV market and make up your own mind. 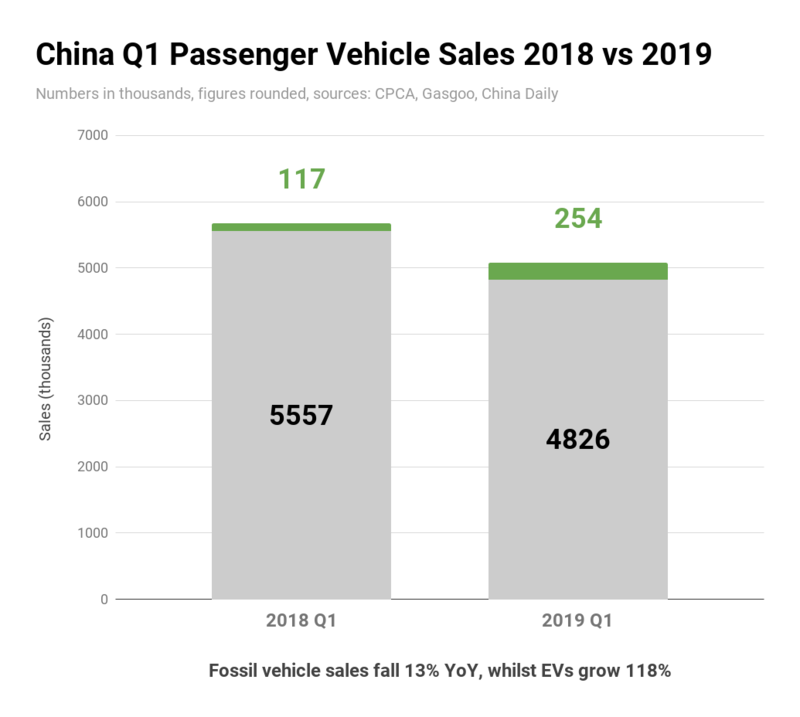 I’m still projecting 2 million EV sales in China in 2019.